Stonehenge is one of the most famous sites in Britain and has been protected as an ancient monument since 1882 (until now) It is owned by the Crown and managed by English Heritage. It is located a day’s walk from Avebury and one must surmise it is related to the whole megalithic system of standing stones in Britain. There is evidence of activity in this vicinity from around 8,000BC yet the present stones are dated from between 3,000-2,000BC. Radiocarbon dating suggests the first bluestones were raised between 2,400-2,200BC. Archaeological evidence and study refers to Stonehenge 1,2,3 (i, ii, iii, iv,v). The great triathlon, the horseshoe arrangement of the five central triathlons, the heel stone and the embanked avenue are aligned to the sunset of the winter solstice and the sunrise of the summer solstice. Many theories have been proposed as to its meaning and use in ancient times including as a sacred burial ground, a place of peace and unity and a sanctuary for ritual. The acoustic properties of the stones (lithophones) also suggest healing power. 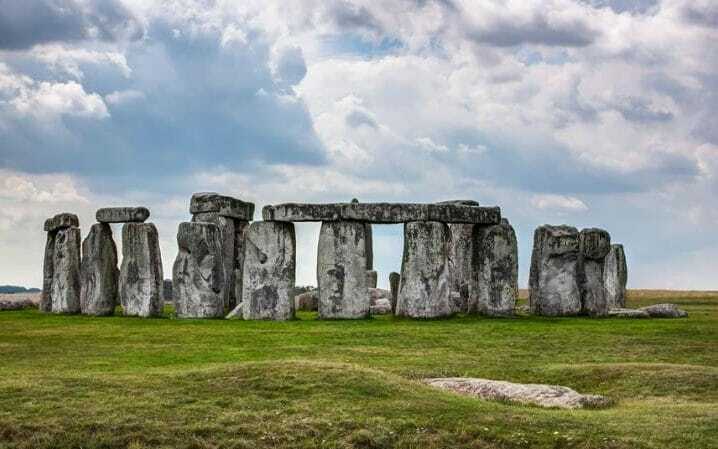 It was Geoffrey of Monmouth in the twelfth century that attributed Stonehenge’s construction to Merlin thus linking it to the Arthurian stories. During the twentieth century the site has become important to the Pagan Movement. After 1985 the ritual use of Stonehenge was restricted. There is special access if one applies in advance but no longer can one wander freely among the stones. However the impressive stones still stand imperious. There are busy roads around the site (including the A303) yet instead of moving the traffic away from the stones on 12 September 2017 the Secretary of State for Transport announced plans to ‘create a world-class Expressway to link the south-west and south-east of England’; a controversial plan that includes a road tunnel under the site. Location: Site parking off the A303 between Amesbury and Winterbourne Stoke, SP4 7DE (follow road signs to the Stonehenge car park).